Getting married is the beginning of an exciting new chapter in your lives. As a church, we are delighted you want to get married here at St Mary’s Eaton Socon, and we want to help you make the most of your special day. We hope your service ‘sets the tone’ for the whole of your special day! How do we get married at St Mary’s? The first thing to do is to join us for one of our Sunday 9am or 10.30am services. This will give you an opportunity to meet a member of our clergy team who will be delighted to lead you through the booking process. For proof of identity, please bring a Passport/Driver’s Licence for each of you. For proof of address, please bring a Utility Bill, Bank Statement, Council Tax Bill etc for each of you. After this, you will receive a letter confirming your booking and receipt of your deposit. Now you can go ahead and organise the rest of your wedding! When are weddings held at St Mary’s? 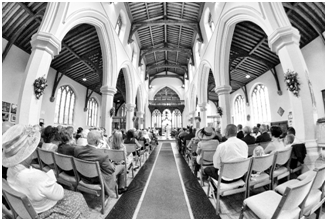 Weddings can be held on any day of the week, subject to Church and Clergy availability. Will there be other weddings on our day? Yes – there may be other weddings on your day, but our practice is to limit any day to two weddings. This helps to ensure that your special day is unrushed and as unique as possible. Does it matter where we live? 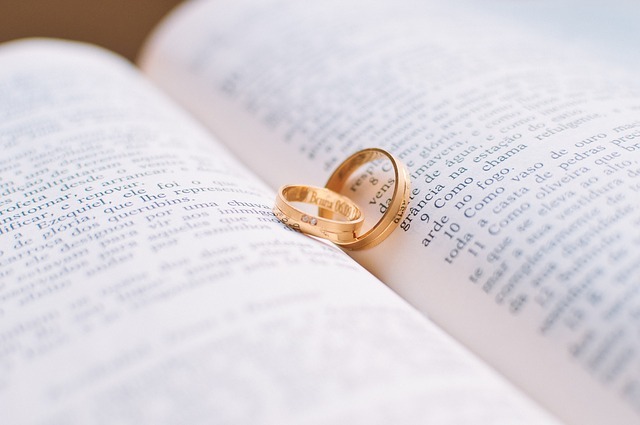 To get married in church, you need to be able to meet just one of a number of qualifying connections. Such connections include: your parents live in the Parish; you have lived in the Parish for more than 6 months at some stage in your life. If you’re unsure if you meet any of the qualifying connections, please do contact us as we would be delighted to explore what options might be possible. You will need your Banns read in the Parish(es) you live in and in the church where your wedding will take place (if different). This is a legal requirement for which there is a statutory charge. This depends on what you want. All options will be discussed during the Marriage Preparation Course and agreed when you meet the minister taking your wedding. If I’m divorced, can I get married in the church? In a number of circumstances, yes! Please discuss this with the Vicar. We are also here to help you prepare for your married life together. By getting married in church, you are asking for God’s blessing on your life together – and this is the best start you can have. As such, all couples getting married at St Mary’s attend the Marriage Preparation Course. At the end of the Marriage Preparation course, you will receive a Wedding Service Pack that will help you plan your service. Approximately 3-4 months before your wedding, you will meet with the minister conducting your wedding. At this meeting, we will confirm your choice of music (e.g. Organ, Music Group, Choir, Bells etc), the various options available and the order of service. Some couples have even used ‘Barn Owls’ to deliver the rings (not supplied by us)! If you are planning to produce a printed order of service, we will help to check it for you to make sure everything is right, and copyrights are noted. This is usually held on a weekday evening in the week leading up to your wedding. Do make sure that as many of the main wedding party as possible can make it.